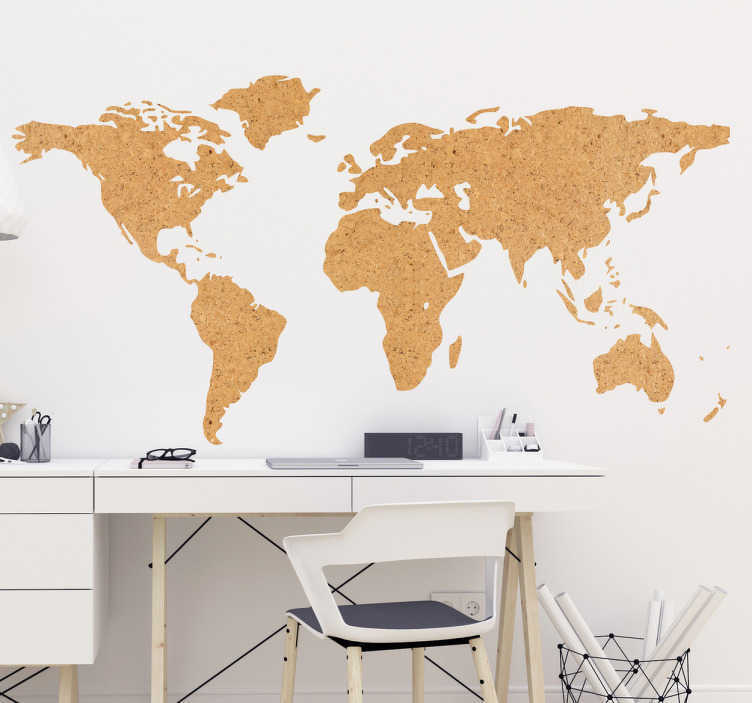 Vinyl world map wall sticker in the style of a cork pattern, perfect for decorating the bedroom or living room! This world map design puts a unique spin on the continents of the world by making them out of a timeless cork pattern, giving it a cool and modern look. Personalise any wall in your home with the Earth we know so well, available in any size your could want with no worry about leaving residue on the wall afterwards.